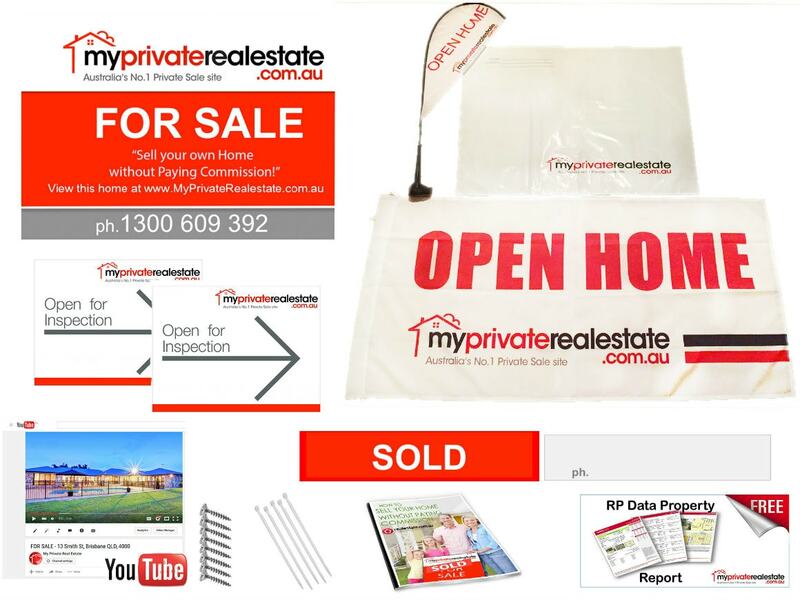 Everything You Need To Sell Your Property. Over $750 value for $350! Upgrading your Ad online is the best way to get your home seen by 'A LOT' more buyers. 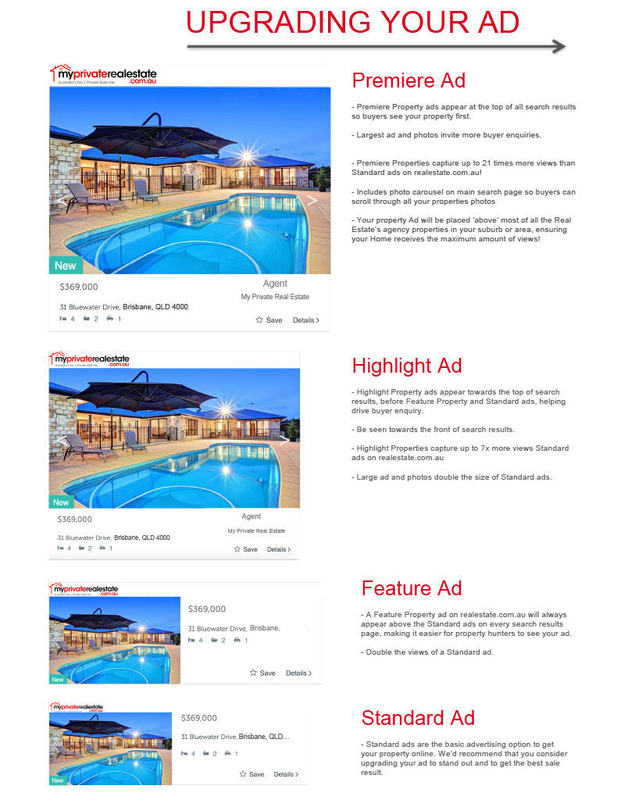 Realestate.com.au have 3 different Upgrade options (Feature, Highlight & Premiere) - A Highlight & Premiere listing will ensure your listing is one of the very first ads that come into all of the searches in your area/suburb. All Upgrade prices vary depending on your suburb. 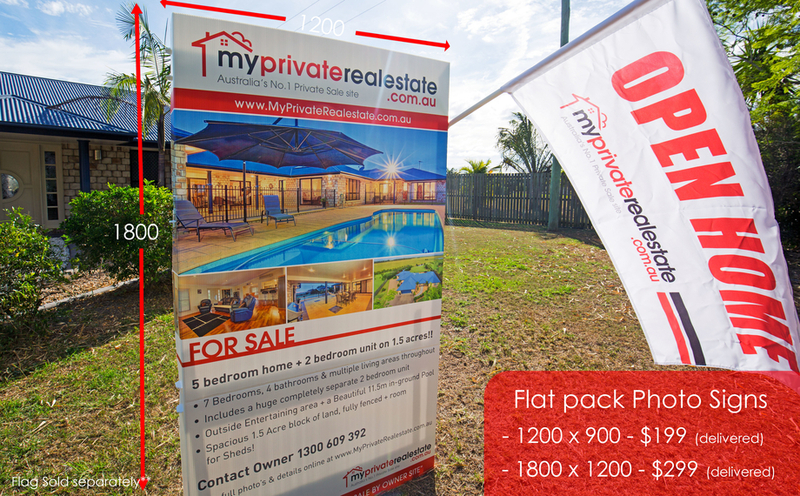 To upgrade your Ad online, you can either E-mail your Property address & Suburb to upgrade@myprivaterealestate.com.au Or, text message your Property Address & Suburb to '0447 333 327' - You will then receive the prices for each Upgrade via text message or E-mail. To pay for your Upgrade, You can pay over the Phone via credit card by calling 1300 609 392, or alternatively, you can pay via direct bank transfer, our bank account details are at the bottom footer of our website under the 'BANK DETAILS' tab. Be sure to include the property address as your reference. Purchase a property video which will include up to 30 images with a professional voice over artist and music. A property video is an excellent way to make your property ‘stand out’ from the crowd, it’s also a great way to advertise your home to potential buyers. Costs include video production, professional voice over artist, and music. 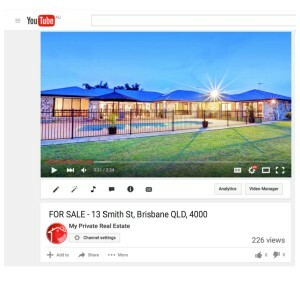 Your Property video will be automatically added to your online advertisement; it will also be uploaded to YouTube so you can even send the video link to potential buyers via text message! 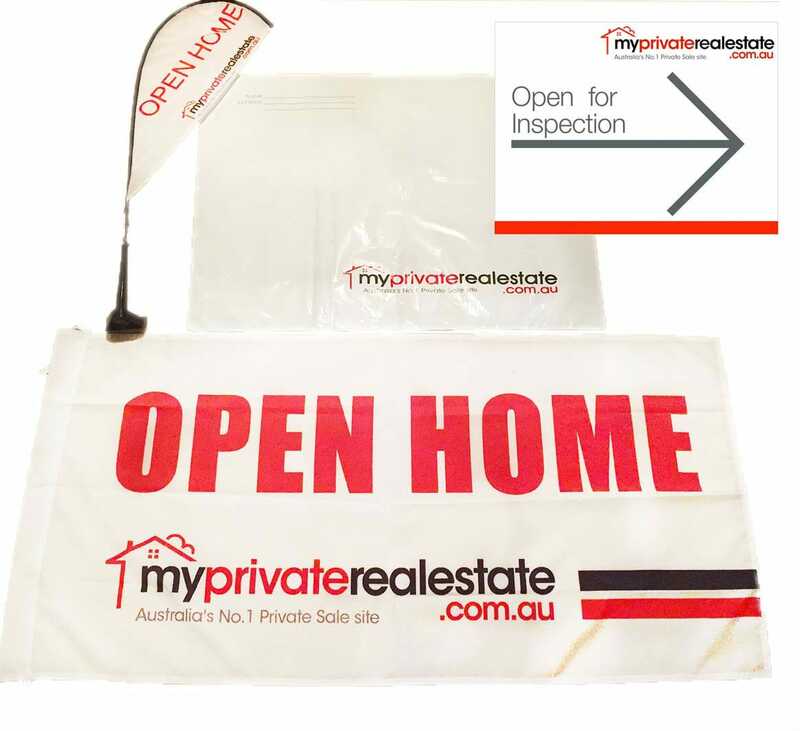 Your Open Home flag is a good way to promote your home and make it clearly visible for buyers who are driving by, or looking for your Open Home. The ‘Open Home’ directional signs can be put out the front of the property, or at the entrance of your street. The Best part about selling your own home, is you can have very long Open Home’s, making it a lot more easier for buyers to view your home. You can advertise your Open Home online (E.g. View Saturday from 7am to 1pm), sit back, have a coffee, watch a movie, and wait for potential buyers to arrive. A video slideshow features a video image presentation of the images for your Home, however the slideshow does not have the professional voiceover. The video slideshow will also be added automatically to your advertising by our team, and it will also be uploaded to YouTube so the link can be shared with potential buyers. A Comparative Market Report will give you all the recent sales in your town or suburb over the past 2 years. These reports are crucial when selling, as they will give you a perfect indication of what similar homes are selling for in your area. The report will include addresses, photo’s, prices, graphs and property details. After comparing your Home and choosing a list price for your home, you will be ready to go! 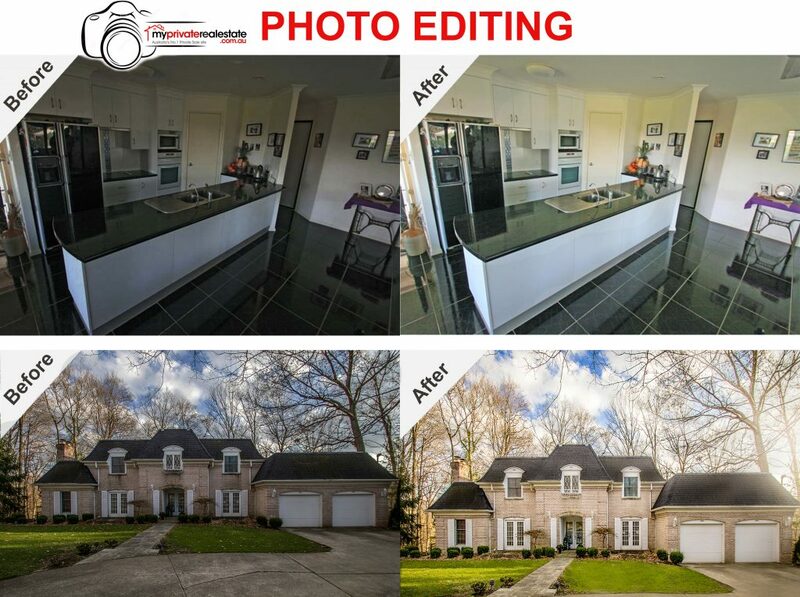 Send us up to 25 images, and our professional photo editors will edit, enhance & touch up your photos to make them more appealing to buyers. Your Photos are one of the most important things when selling your home, and its crucial to make a good first impression on buyers, these first impressions will determine how many calls or enquiries your home will receive. We will then upload the new photos direct to your advertising, so you don’t have to lift a finger! Photo signs are an excellent option, and they work as a 24/7 Salesman out the front of your home! Some Metro/city properties include professional installation. A driver will come out at a specified time that suit you, and will install the board in your desired location. However, most Non-Metro or regional towns, your sign will be sent as a Flat Pack (delivered by a courier), which can be easily assembled & installed by you. After submitting photographs and text for your photo board, we will prepare a proof for you (usually the same day). You’ll have the opportunity to make as many changes as you like, until you are happy with the final design. Photoboards do not come with Open Flags (as in image). However, these can be purchased separately in our 'Upgrades' section. 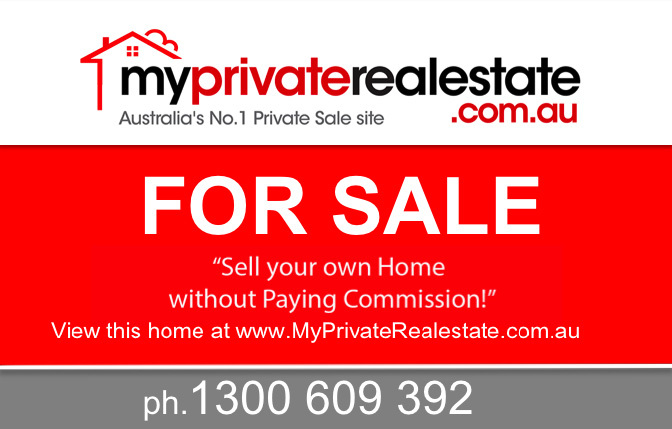 Advertise your Home for Tenants on Australia's leading Real Estate Sites! - A 'one off' cost & it's Listed until leased! - & No management fee's ever!